Between April 2014 and March 2015 more than 1.3 billion passenger journeys were made on the London Underground/Tube. How does this compare to America’s busiest subway network – the New York subway? According to the Metropolitan Transport Authority, in the same period there were 1.76 billion passenger journeys on the New York subway. If you’re planning a vacation to London, you’ll soon become an expert using the London public transport system. Whether it’s the London Underground/Tube or the bus network, we’ll tell you the only two things you need to know to quickly become an expert and fit in with the locals. The Citymapper app, available on iOS and Android is the only app you need to get around on London’s public transport system. Seriously. We mean it. Delete any other apps you have, and just install Citymapper. Real-time information: the app plugs directly into the control board of the London Underground/Tube and into the GPS locations of London’s buses, and gives you real time information, down to the minute as to the arrival of the next train/bus, delays and your ETA. It incorporates walking directions too: it doesn’t matter where you are in London (eating at one of the many family friendly restaurants, finding something to do on a wet London day or checking out London’s alternative attractions, all you need do is open the app, enter your location, and Citymapper will give you precise guided step by step instructions. It will even tell you the best exit to take when you get off the train, and even which carriage to get on to ensure you’ll be closest to the station exit when you alight at your destination. It tells you the cost of your journey so you can compare the best options to get to your destination. Forget lining up to buy a single use ticket, or reloading your London Oyster card. 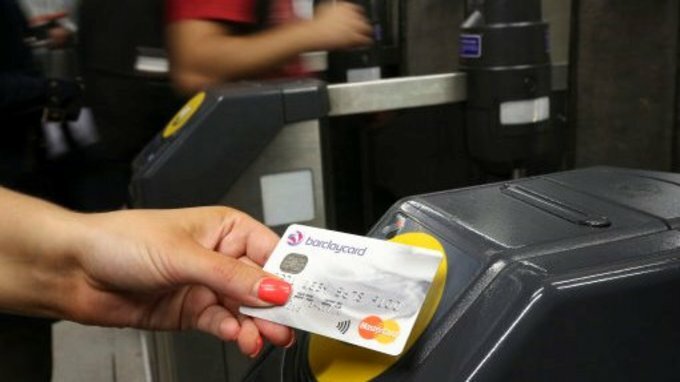 Simply use your American contactless “tap and go” Visa, Mastercard or American Express or Apple Pay/Android Pay when using the London Underground/Tube or buses.